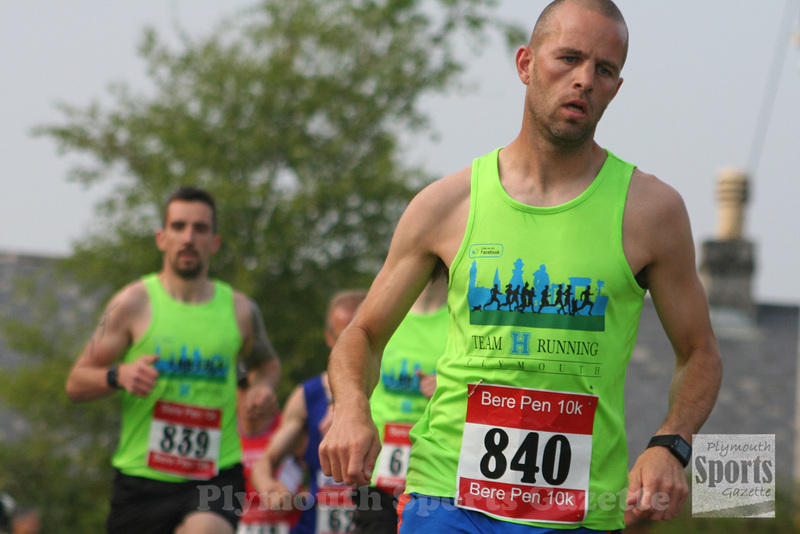 BEN MORRISH claimed victory in Saturday night’s tough Bere Pen 10k. The race, which sees competitors run from Bere Alston down to the River Tamar and back, took place in warm and humid conditions. Team H’s Morrish took the lead at the start and managed to maintain it to finish the run in 37 minutes and 47 seconds. Second place went to Plymouth Harriers’ David Beckenkrager, who clocked 38.06. Ben Austin was third in 38.22, with Plymouth Harriers’ Steve Hill not far behind in 38.28 for fourth. 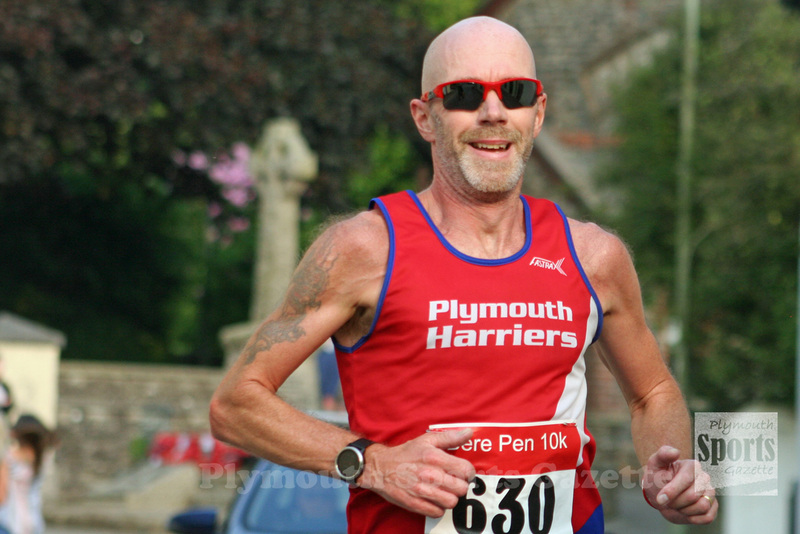 Plymstock veteran Graham Bale was pushing hard but had a problem in the closing stages. The women’s race was extremely competitive, with the top three all finishing within the top 14 overall. 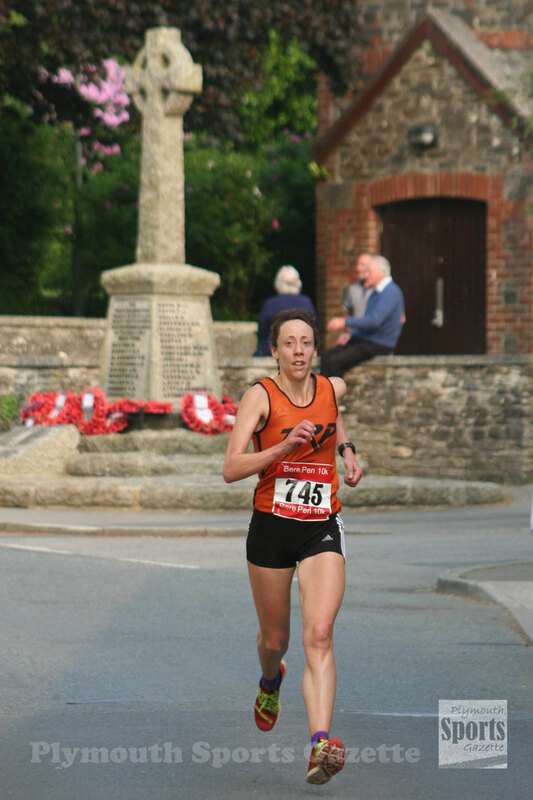 Tavistock Run Project’s Sam Lake was first women home in 43.24 minutes, with Tavistock’s 2008 Olympic modern pentathlon silver medallist Heather Fell taking second in 44:33. Third women home was Erme Valley Harriers’ Emma Lake, who clocked 44.59 for the tricky down and up course. The annual event is always popular and 232 runners finished Saturday’s race.